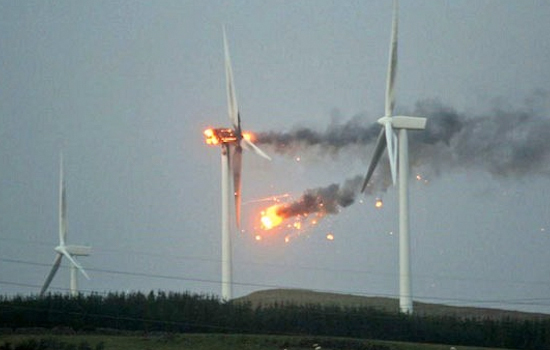 A 328-foot-tall wind turbine went up in flames trying to keep up with hurricane force winds in North Ayrshire, Scottland. Apparently these environmentally friendly turbines aren’t so friendly when put under a lot of stress. Arguably this is the first case of such a mishap and there are no predictions of it reoccurring. These white towers are perched on high hills so it was quite a sight for many people watching over three million dollars go up in smoke.